For a bird’s eye view of London, the London Eye provides spectacular views over the city’s famous landmarks, buildings and river. 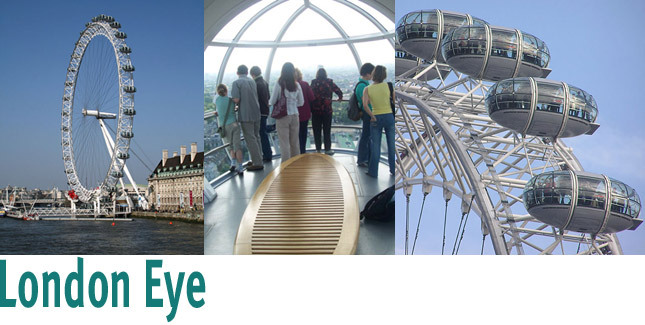 Soaring above London on one of the worlds tallest observations wheels is an unforgettable experience. This desert metropolis not only lives up to its legendary status, it blows it out of the water! Nestled in the Nevada desert – only an hour flight from Los Angeles – Las Vegas is an awe-inspiring city! Emerging from the desert 100 years ago this fantasy land has since expanded immensely with over 39 million visitors a year. People visit Las Vegas to experience five star hotels and restaurants, glamorous casinos, entertainment and even to get married. Starting from humble beginnings back in 1971 the annual City to Surf fun run in Sydney has grown to become the must-do road running race in Australia, and the largest of its kind in the southern hemisphere attracting over 50,000 participants each year. The walk along the coast from Bondi beach to Coogee beach is one of the beast coastal walks in Sydney which combines superb coastal views, swimming opportunities and fantastic restaurants and cafes. Bondi Beach is Australia’s most famous beach, and among the most well-known beaches in the world. So having a swim at Bondi is a must experience.